If you’re like me and you have New Year’s resolutions you’d like to achieve–whether it’s to find a new job, start a big project, launch an exercise regimen, eat better or quit smoking–believe it or not, your cycle can help you be successful at reaching your goal. That’s because the ups and downs of your monthly hormones impact motivation, energy, optimism and stick-to-itiveness–key factors that can impact how much oomph you put into pursuing your aim. Read on to find out how to use your cycle to reach all your New Year’s resolutions…. During the first half of your cycle (your Week 1 and Week 2, which starts with your period and ends at ovulation), rising estrogen can make you feel more hopeful about your chances of finding a new position. However, this same hormone-fueled rosiness can also make you prone to minimizing all the problems with your current job–which can make you decide to hold on to it longer in the hopes that everything that was wrong with it will magically get better. Then, during the second half of your cycle (your Week 3 and Week 4, which starts the day after ovulation and lasts until the day before your next period), lower estrogen makes you more likely to focus on all the many, many faults with your current job. However, it can also lower the confidence you have about finding a new one. So, you may put off answering an ad for a job opening, for instance, because you’re worried you’re not qualified enough, the change will be too disruptive to your life or you’re afraid of going from the frying pan into the fire. With all this hormonal wishy-washiness, you can probably see why you’re prone to waffling before finally committing to sending out your resumes. During the second half of your Week 3 (four to eight days after ovulation), write a list of pros and cons about your job. During this four-day phase of your cycle, the combination of rising estrogen and progesterone lets you see your boss, co-workers, job environment, salary, responsibilities and future growth as they really are. You’re neither too optimistic nor too pessimistic. When you’re finished with this list, review it and then make your decision: Should you stick it our or go? If you decide to go, then write yourself a note from your Week 3 self as a reminder on all other days of your cycle that this is the best course of action for you. This way, you’ll build the momentum to look for and answer more ads for job openings. But, before you start scheduling job interviews, read my Hormonology Guide to Acing Job Interviews to find out how to make your best first impression to hiring managers every single week of your cycle. Whether you’re writing a book, starting a business, making a game or creating a robot to enter into a competition, you’ll be more successful when you start your project in the first half of your cycle. 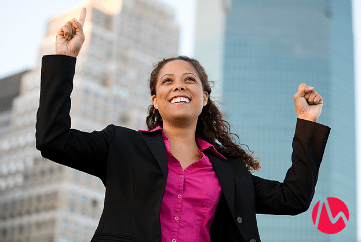 On these days, rising estrogen will be revving your positivity, ambition, creativity and energy–all important for getting a big project off the ground. New to exercise or haven’t worked out in awhile? Consider aiming to start your new routine in your Week 1 after your period has ended. Research shows that for women who are new to exercise, starting during your period can lead to extra aches and fatigue. However, once your period has petered out, put on your sneakers! Rising estrogen in the rest of your Week 1 and throughout your Week 2 helps reduce the aches of a new workout routine by blunting pain responses. Plus, this hormone ramps up physical energy and stamina, so exercise may feel a bit easier to start than in the second half of your cycle when rising progesterone is making you sluggish. Want extra motivation to stick to your new exercise routine for the rest of the year? Speed up your exercise results with these two easy cycle tricks. PS: Exercise-related aches during menstruation actually fade once you’re working out regularly, research shows, so keeping at it pays off! Been wanting to cut out unhealthy fats, trim extra sugar or curb your carbs? Aim to make any diet tweaks you’re planning during the first half of your cycle. As estrogen rises in these two weeks, it quiets the food cravings you experienced during the second half of your cycle when progesterone was pushing you toward high-fat, high-calorie comfort foods. On top of that, rising estrogen has a slight appetite-suppressing effect. As a result, you may find it easier to opt for–and even enjoy–salads, low-fat yogurt, whole grains, tofu, beans and other healthy fare. First, congratulations on your desire to quit! By kicking the cigarette habit, you’re helping your health. And, one important way is by staving off early menopause, research shows. So, how can you use your cycle to be more successful at dropping the smoking habit for good? Try setting your quit date for the first half of your cycle after your period. Some research shows you experience fewer withdrawal symptoms in Week 1 and Week 2 of your cycle than you do in your Week 3 and Week 4 thanks to rising estrogen, which curbs irritability, moodiness, fatigue and discomfort that can come from quitting nicotine. However, it’s important to note that other research shows that cravings for nicotine can be more intense during the first half of your cycle as estrogen rises. On top of that, if you fall off the wagon and have a smoke, it could be harder to return to your non-smoking ways. That’s because this hormone activates pleasure centers in the brain more intensely, making nicotine feel more rewarding.. Therefore, if you feel a desire to light up creeping on, try taking a 10-minute jog, massaging your hands, taking a yoga class or doing a crossword puzzle. All are study-proven methods to help curb nicotine cravings. Looking to make new pals or find a partner this year? There’s no better time to start your search than during the first half of your cycle. Rising estrogen on these days is making you more outgoing, friendly, chatty, bold, flirtatious, eloquent, confident and upbeat–all helpful for finding the courage to join a social group or making a great impression on someone you’d like to get to know better. An added bonus: Research shows that rising estrogen also helps you gauge what someone else is feeling just by looking at her or him. That’s because this hormone makes a certain emotion-processing part of the brain–the amygdala–function better. For you, this means it’ll be easier to have more enjoyable conversations because you’ll be able to detect when the other person is fully engaged or getting disinterested, so you’ll know when and how to steer the conversation. If you love learning new things, then listen up: You’ll find it easier to grasp new concepts, understand complex instructions and generally wrap your head around whatever new hobby or class topic you want to tackle when you do it in the first half of your cycle. Thanks goes to rising estrogen, which sharpens your brain skills and memory and makes it easier to absorb new information. This same hormone also gives you the optimism and confidence needed to push yourself to try something different. Now, this doesn’t mean you won’t totally love a new hobby or ace a class if you happen to do it in the second half of your cycle. You’ll just need to put a little more oomph into learning it than you would in the first half. Never miss a Hormonology tip! I want to know everything about my cycle–sign me up!